A new spot to score wraps, salads and more has opened up shop in the neighborhood. Located downtown at 801 S. Hope St., the fresh addition is called Freshii. With locations across North America, Australia, the UK and Colombia, the Canadian chain offers salads, wraps, bowls, burritos, soups, juices, and smoothies and frozen yogurt. Expect to find selections like a Cobb salad, Tex Mex burrito and spicy lemongrass soup. With a four-star rating out of nine reviews on Yelp so far, Freshii has gotten a good response. Jonathan L., who was among the first Yelpers to review the new spot on Oct. 20, wrote, "Healthy, affordable, delicious -- what else can you ask for DTLA? I've gotten their teriyaki twist bowl, Buddha satay bowl and smokehouse burrito. All of them were delightfully and delectably delicious." Yelper Jenna Y. added, "Really great new place! Love the bowls and the frozen yogurt. Overall, it's a nice place to grab breakfast and lunch. The service is also really great, and everyone is very helpful with recommendations and samples." 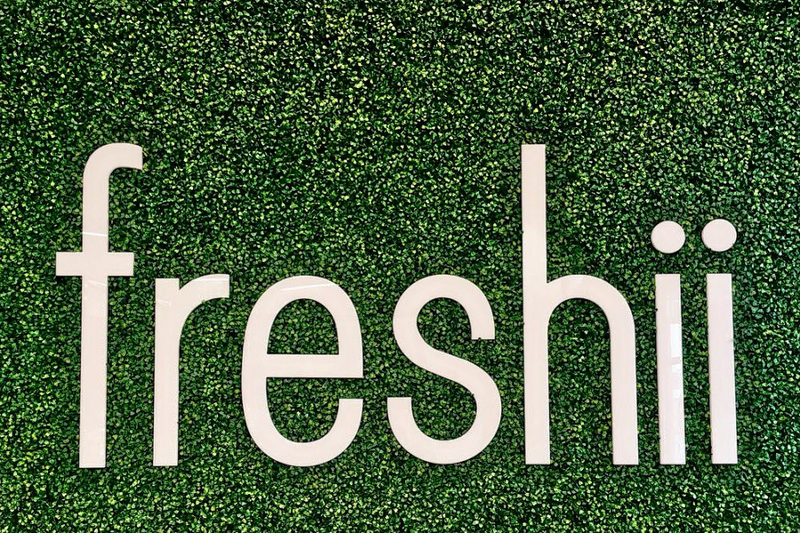 Freshii is now open at 801 S. Hope St., so stop by to welcome the new business to the neighborhood. It's open 9 a.m.-8 p.m. Monday to Friday, and 10 a.m.-7 p.m. on Saturday and Sunday.